SMSA and our resident author, Booker Prize-winner Tom Keneally, would like to extend an open invitation for you to come and meet him. All are welcome! 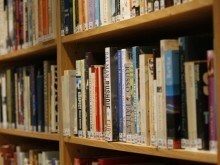 I am delighted to have a chance to welcome writers and readers to the TKC after an absence since August caused by major surgery. This year I’m working on a novel about Australia in 1933, and the use of a gun, captured from Corporal Hitler by an Australian soldier on the night of July 19 1916, in a murder in the bush during the Depression. It’s hard work though (writers always say that) so do come in and interrupt, tell me about your own work and your own reading. NB: Tom is always approachable and happy to chat, but please understand that this is on an informal and unstructured basis only. Tom’s actual availability on the day may vary depending on other commitments. 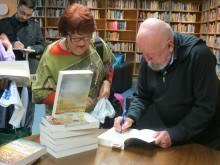 Far from being an ‘ivory tower’, the Tom Keneally Centre (TKC) is Thomas Keneally’s living legacy to Australia, holding books that have significance to him. Located on Level 3, 280 Pitt Street, Sydney, at the Sydney Mechanics’ School of Arts, the Tom Keneally Centre has been featured in SMH’s sydney(magazine) as one of the top 20 most peaceful places in Sydney. It really is a delightfully restful retreat from the city’s hustle and bustle. 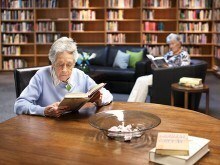 Read a book, do some research or just hang out. Everyone is welcome to drop in. 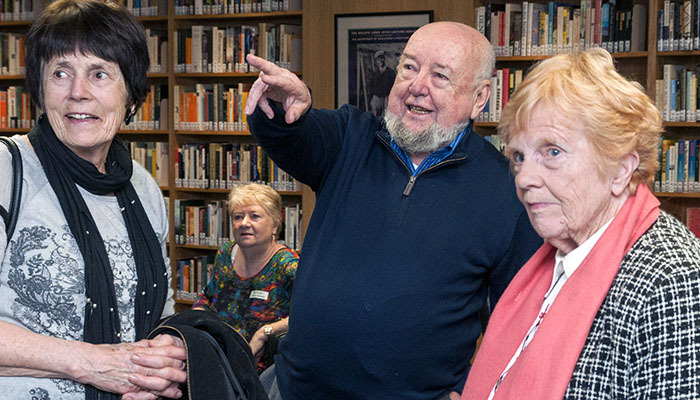 You don’t have to be a member to visit, however SMSA members can borrow from the Tom Keneally Centre collection in addition to their other membership benefits. 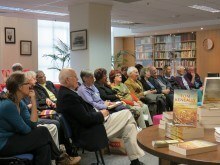 The Tom Keneally Centre will be closed on the Good Friday (19 April) and Anzac Day (25 April) Public Holidays.